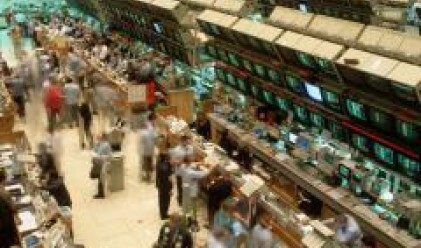 Only four trading sessions will be held on the Bulgarian Stock Exchange (BSE) this week with the last one scheduled to take place on Saturday (May 10). The trade in rights issued as part of the capital raise of Agro Finance REIT will kick off today (May 7). The REIT plans to hike its capital from 16.138 mln leva (8.25 mln euros) to 32.276 mln leva (16.5 mln euros) through the issuing of 16.138 mln new shares, each with 1 and 20 leva par and issue value, respectively. Agro Finance's experts forecast that the company will have acquired 21,000 ha of land as at the end of 2008. The trade in the shares of Bioiasis will kick off on Thursday (May 8) on BSE. The capital of the company amounts to 200,000 leva (102,260 euros) allocated in as many shares with 1 lev par and issue value. The stock will be traded under the BIOA bourse code. The unused rights issued in the capital raise operation of Black Sea Investment REIT will be auctioned off on Saturday (May 10). The deadline for the subscription of shares in the capital raise of Agricultural Land Opportunity Fund Mel Invest REIT is set for the same day. Black Sea Investment is in the process of hiking its capital from 650,000 leva (332,340 euros) to 14.95 mln leva (7.64 mln euros), while Mel Invest REIT will raise its capital from 14.044 mln leva (7.18 mln euros) to 28.089 mln leva (14.36 mln euros). The final date for sealing deals in Corporate Commercial Bank's stock, which will enable the shareholders to exercise their rights at the forthcoming general meeting, is also set for May 10. The allocation of the profit of the bank for 2007 to the Reserves fund will top the agenda of the meeting. The bank booked 23.148 mln leva (11.83 mln euros) profit, which translates into 4.14 leva (2.11 euros) earnings per share in 2007. The figure marked a 3.5-fold year on year increase compared to 2006, while the earnings per share grew 2.2-fold.